I could actually guess that after you saw the word wheat germ in the post headline, you might be thinking of bugs, microbes or any creeping creatures, but hey! it has nothing to do with that. Wheat germ is the part of the wheat kernel that contains all the goodness of he grain. In this post, I will be showing you some of the health benefits of wheat germ to us humans. Having 2.5 to 3.8% of the total weight of the grain, the germ contains more nutrition than the rest part of the wheat grain. In fact, it is called the embryo of the grain through which the seed sprouts. The wheat germ has an impressive nutritional profile which are; 10 - 15% lipids, 26 - 35% proteins, 17% sugars, 1.5 - 4.5% fibre, and 4% minerals. Wheat germ is also rich in triglycerides and antioxidants. It is also rich in minerals like potassium, magnesium, zinc, calcium, and manganese. With lots of nutrients packed into the small kernel, little wonder wheat germ is graded as a food supplement. If the nutritional facts of wheat germ didn't convince you much, then take a look at these 8 reasons you should be including wheat germ in your diet. The bad experience of a sluggish bowel movement is quite irritating, and it might end up ruining your day. The major culprit is lack of fibre in your diet. While the wheat bran is normally added to foods to enhance fibre intake, the germ of the wheat can equally do the same job. The wheat germ have an impressive fibre profile which makes it a good anti-constipation addition to your diet. The effects of fibre-rich diet on the immune system is very popular. It is friendly to the gastrointestinal system. Fibre helps the intestine by clearing harmful microbes from the gut and promotes the proliferation of good bacteria. A fibre-rich food like wheat germ can therefore boost your immune system. As you already know that wheat germ have a high content of dietary fibre, it can help reduce postprandial blood glucose response. Including the whole grain as a part of your diet can even help yo in preventing type 2 diabetes. If you are so concerned about your heart health, then this is good news; wheat germ can actually help in improving cardiac health. Nutritionist and health experts have always recommended that people should eat whole grains to improve their heat health. Having a brilliant nutritional profile, wheat germ is the perfect food you need to maintain the health of your heart and reduce the risk of coronary heart disease. The modern way of eating is a total nightmare. One of the major side effects is the increased risk of cancer. This is the more reason why health experts recommends a good intake of antioxidants to counter this risk. So, you can increase your antioxidant intake by consuming lots of wheat germ. In fact, fermented wheat germ is used as nutritional supplements for cancer patients. Contrary to what most men might be thinking, Premenstrual Syndrome (PMS) is real and not something made up by women to justify irritable behaviour. It is a cascade of emotional and physical problems that sneaks up on a woman few days before her periods. 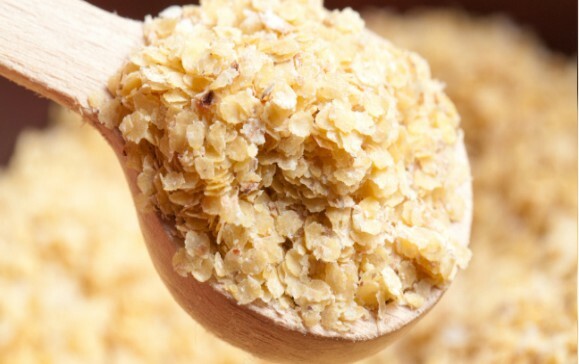 Studies have proven that consuming wheat germ can significantly reduce this physical and emotional symptoms of PMS. So you should ditch those cupcakes and chocolates and take a handful of wheat germ. It is a natural treatment for painful periods. A diet rich in fibre can combat weight gain and obesity. Consuming wheat germ can not only supply you enough fibre, but they can also keep you full for a long period of time, thereby preventing you from mindless eating. So, if you are thinking about a weight loss diet, then you should include wheat germ in your diet plan. Having a good gut microbiota or intestinal bacteria is every stomach's delight. A healthy consumption of dietary prebiotics can help the good intestinal bacteria, thereby boosting the immune system. The dietary fibre in wheat bran contains prebiotics that can be fermented by the gut bacteria to produce short chain fatty acids. Also, the gut-loving properties of wheat germ makes it a god food for those suffering from IBS. The wheat germ benefits to your health are quite numerous, but these are the 8 important few you should take note of for now. You can pass this message to your friends on various social networks by using the share buttons below.